Sen. John McCain seemed to call out Trump for his medical deferment from the Vietnam War. The senator criticized wealthy Americans who "found a doctor that would say that they had a bone spur" — the exact diagnosis Trump received in 1968. Trump famously dismissed McCain's military service in 2015, saying "I like people who weren't captured." Sen. John McCain indirectly rebuked President Donald Trump by criticizing people who dodged the Vietnam War draft. McCain, a former Navy captain, was talking to C-SPAN about the war when he seemed to call out the president in particular, without mentioning him by name. "One aspect of the conflict, by the way, that I will never, ever countenance is that we drafted the lowest income level of America and the highest income level found a doctor that would say that they had a bone spur," McCain said in an interview that aired Sunday. "That is wrong. That is wrong. If we're going to ask every American to serve, every American should serve." As a recent college graduate in 1968, Trump received a diagnosis of bone spurs in his heels, exempting him from military service just a year before hundreds of thousands of Americans were drafted into the armed forces. The deferment received renewed attention during Trump's 2016 presidential campaign, particularly during Trump's public feud with the parents of a soldier who was killed in Iraq. Critics claimed Trump had evaded the draft with a questionable diagnosis. In an interview with The New York Times in 2016, Trump could not provide details about the diagnosis, only saying, "I had a doctor that gave me a letter — a very strong letter on the heels." Trump added that at some point, he was no longer bothered by the condition. "Over a period of time, it healed up," he told The Times. 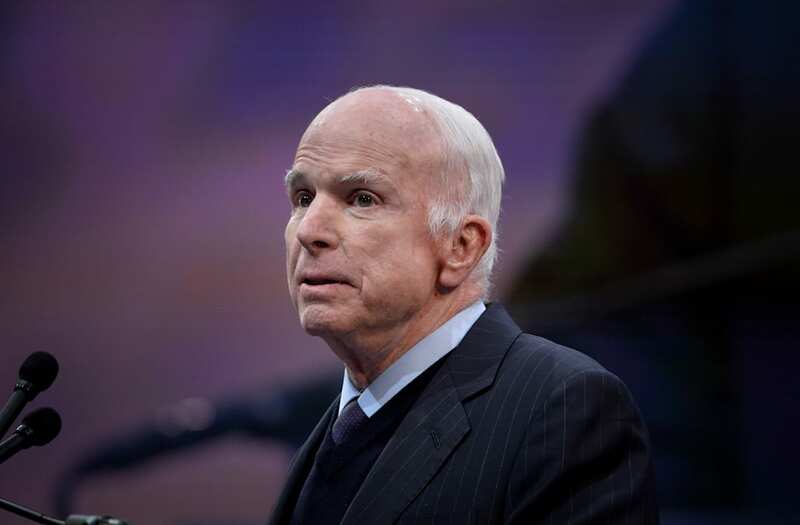 McCain has become increasingly vocal in his criticism of Trump. Last week, in a speech at the National Constitution Center, the Arizona senator warned that the US is turning toward "half-baked, spurious nationalism cooked up by people who would rather find scapegoats than solve problems." The Vietnam War is an especially touchy subject in Trump's relationship with McCain, who as a Navy pilot spent more than five years in a North Vietnamese prison, where he was tortured. In 2015, Trump said of McCain, "he’s not a war hero. He was a war hero because he was captured. I like people who weren’t captured."